Does your house smell as good as it looks? 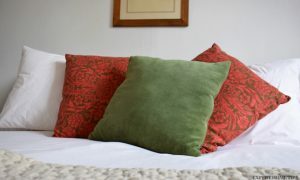 Whilst the interior may look welcoming, house smells are enough to make even the most gorgeous of homes unappealing. Household odours are pretty common, and it’s not necessarily caused by uncleanliness. During the changing seasons, the humidity, lack of aeration and heating can quickly cause rooms to become stuffy or develop a musty smell. Not to mention our pets, who can bring all sorts of weird smells into our homes. Want to banish bad smells once and for all? There’s no need to go buying expensive air fresheners. 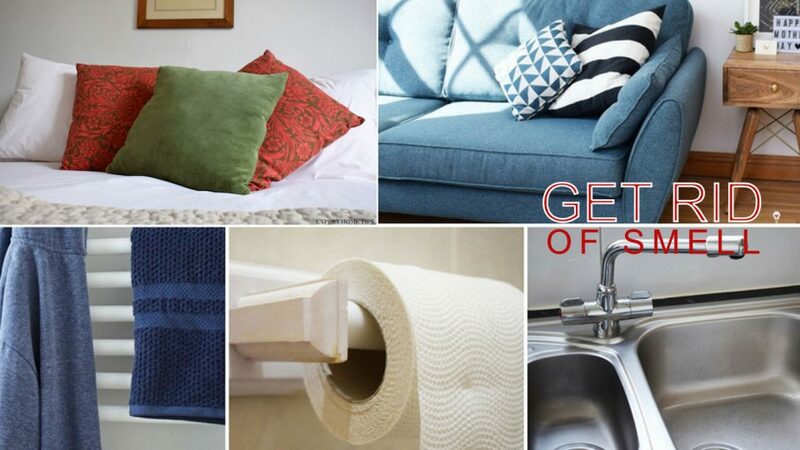 Expert Home handy hacks to help you eliminate all kinds of odours. Ready to make your house smell fresh? Let’s get started. Bathrooms can, unsurprisingly, get pretty smelly pretty quickly. It’s not only the toilet that’s to blame, but the stagnant water around the sink and condensation from the shower can make musty smells common. One of the easiest ways to add a refreshing fragrance to your bathroom is using essential oils. 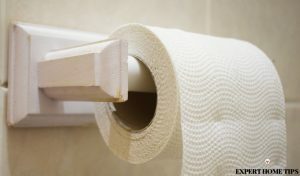 Add a few drops to the inside of your toilet roll tube and they will fight against unpleasant odours to leave your bathroom smelling fresher. There’s no avoiding it – toilet brushes are pretty nasty by nature. Keep yours smelling as fresh as can be by squirting some scented cleaner into the bottom of the toilet brush holder. Not only will this keep the brush clean, but if you use something like Flash, it will give the whole room a lovely citrus smell. 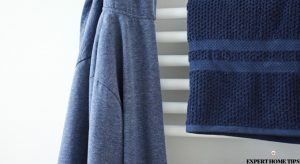 If you follow our blog, you should already know how often to wash your towels to keep them fresh. Unwashed towels are not only unsanitary but will make your bathroom smell damp and dirty too. To make them smell fresher than ever, wash them after every 3 uses. You can throw in half a cup of baking powder every couple of washes for extra freshness too. Wardrobes are home to all kinds of smells – socks; stinky shoes; that dusty old dress you’ve not worn in years. Go into your kitchen and grab a few tea bags – they can be used as a wardrobe deodorizer. Herbal tea bags work best and something powerful with chai or cloves is ideal. Place them in your wardrobe, preferably hung over the rail. The herbs will absorb bad smells and release gorgeous new ones to release a burst of freshness when you get dressed every morning. If your bedroom looks clean, but smells rotten, the answer could be something a little hidden – your mattress. Sift a cup of bicarbonate of soda onto your mattress. Leave it to sit for 30 minutes. Vacuum over your mattress using the brush attachment. Drains may be out of sight, but they certainly won’t be out of mind once they’ve started to smell bad. Luckily, the solution requires just two ingredients, which you probably already have in your cupboard – vinegar and bicarbonate of soda. 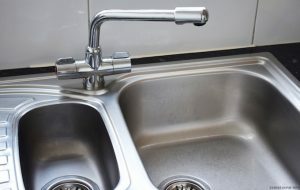 Pour one cup bicarbonate of soda onto the drain, then follow with two cups of vinegar. Let this bubble away happily for five minutes, then flush repeatedly with very hot water. 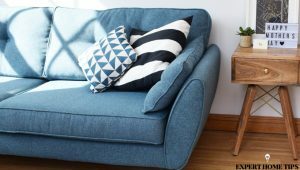 Sofas aren’t something many of us consider washing often, however, just like your mattress, they do need occasional TLC. The same mattress baking powder hack can be used for your sofa- sift baking powder onto your sofa, wait, then vacuum off for instant freshness. Your visitors will be asking if you’ve bought a new one!